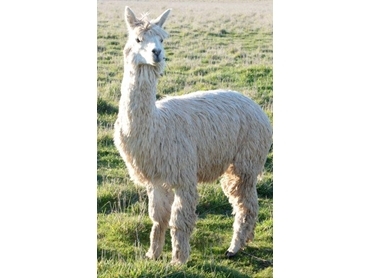 Wardlaws Alpacas owns a herd of over 100 alpacas, including both suri and huacaya in black and white colour. Waldlaws concentrates on delivering affordable alpacas and offering excellent after sales service, agistment and on going advice for new breeders. Pregnant maiden huacaya, a very fine dense female that has been mated to a black male to hopefully produce a fine coloured cria. Pregnant huacayan female: a beautiful breeding female already mother of impeccable pedigree. Perfect conformation, average size with a nice dense fleece. Certified Suri Stud male: well locked and good density fleece. He throws all colours, including a few rosegreys and even an appaloosa. Previously halter trained but has only been used in paddock mating situations.